What is Sleep With Me Podcast? 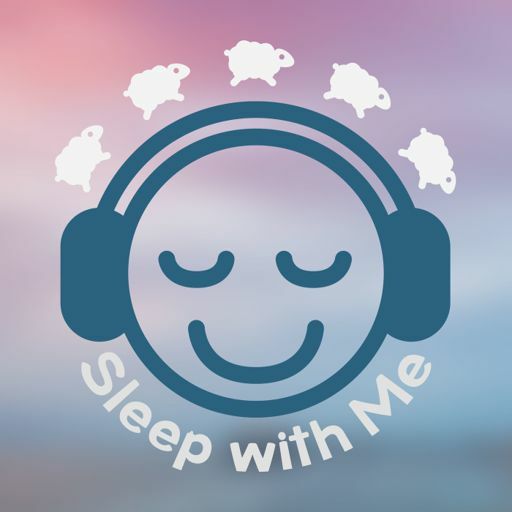 Sleep With Me is a silly bedtime story podcast for grownups. To take your mind off of whatever is keeping you awake. Two heroes, Ray and Michael, sculpt sounds and save the world from singularity while you sleep. As soothing as a trip to the great gravy realm with the charismatic chuckler. Get started and breakdance your way out of the skeptic’s dilemma and into a dream. A sleepy boy band sigh will be the blimp that floats you off to dreamland. An old flame of the Doctor’s that spans two worlds. This school is so sleepy even the cafeteria staff is dreamy. This game is an extraordinary journey on the East Sea Road, the unboxing will be more of a meandering look of a thousand lulls. A sleepy story of a tribute of the “It Makes a Sound” podcast, in pinball form. Tell me, tell me, tell me oh who wrote the book of lulls. Sleep to the sweet scents of the Good Place, just outside your door. This cooking session should bring about sleep as instant as a pot. My parents were into music, the perfect music for tangental bedtime stories. My memory of this episode is like the fuzziest instagram filter you’ve ever slept through. This collection gets started with a fresh intro and then carries you through the end of the season with intros from episodes 623-626. A gentle snowfall marks the threshold that leads to the joy of giving. A dream under the sea turns to a holiday, with glee. Repetitive language and Janets will create a dreamy corner cake mix devoid of pressure. There is a sleepy intersection where holiday nostalgia and TV meet. Settle in for a rundown of the who's who in holiday shows. This story will snowball in the sleepiest of ways. A return to Who for the whoville season, get into the holiday spirit as the Doctor sleeps. Join Ray, Bernie, Mikey and “The Gregger” for a sleep recap that is now a holiday tradition. This trip to a train station should have you rocking like a baby in a cradle. A warm welcome into a world of gift giving and receiving. The sounds of radishes growing will roll by you like pool balls in Jacksonville as you drift off to dreamland. Sleep to a never ending buffet of lulling soothing creaky dulcet tones sent across the deep dark night. From episodes 617-622. A meander back through twelve weeks of growth where a freestyle soda machine became a being and an artist. 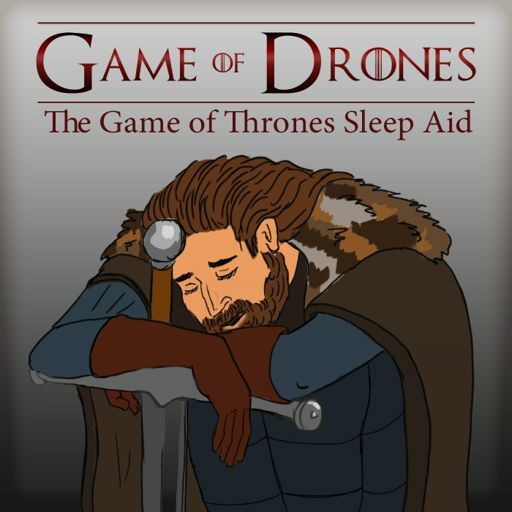 Long a long winding ride from the airport this episode should take you home and tuck you in bed. Your eyes will be cloudy as you head off on a journey to sleep and our heroes save earth. A sleepy hug from the soul squad, no need to apologize for snoring. There’s something dull in your neighborhood and the sleepin’s good. Tonight's rest will have the energy of fatherhood powering a reality where the soul squad virtually helps everyone the can. Can Stan and Scoots put the cloud back in place or is it time to accept a world without clouds? Your timeline for sleep is approaching and drifting by while my meanders take a cursive shape that carries you away. Climb in as I say goodnight to the place where all the sleepy stuff started, rest and I’ll be sifting through my feelings. Let your thoughts be gently pushed aside as our ethics team clears the way for a good night’s rest. Sleep won’t be simulated but you’ll be de-stimulated as Moriarty walks the corridors of the Enterprise…or does he? Here’s a story of a loving Chidi teaching ethics like an oyster produces pearls. Exercise leads to a cloudy understanding that drifts away. I’ll be the door person who welcomes you to dreamland. Take a sleepy trip down under as we catch up with old friends and meet some new ones. Will’s got himself in a pickle that only Papa Picard can placate. Sleep with a journey into Stan’s subconscious and Spudgie the space whale. A sleepy stroll down mismemory lane. This episode will Rapp around and around as you swill away like my ideas for a pair of meanderwear. Dine by candlelight, tonight with Jean Luc, you'll be confused, but you can rest as he is working out all the puzzles. After smelling baked goods Scooter and Stan search for a cloud puppy. You'll drift off like a vapor. You’ll be sleeping like brother John by the end of this episode, where Counselor Troi takes command and Picard hangs with the winners of the science fair. Some musings about butter sculptures, history and a roller coaster called love. Close you eyes as we close out the season, as you turn on the night-light, a lightbulb will go off for Eleanor, goodnight. Put on your dancing shoes and hang your streams for a night under the stars. Attend a dream prom where you don’t need a date, just joy. Slip into a neon ship as Carole King takes the funk out of bedtime. Drift off as our intro reclaims bog sand and Eleanor holds doors to enable your snores. Soft Serve vs Frozen Yogurt vs Ice Cream will be the swirls that ladle the cream into your dream. Stan and Scooter have to deal with a mac and cheesy situation full of spaghetti ohs! For the summer holiday we parade around in circles with a collection of intros from the show. Bernie the Butterfly returns to the show to talk tote bags and “5 Seconds of Summer”. Fancy boots are made for sleep and that's just what you'll do! Scooter and Stan make the most of their situation, with an artist’s journey right into the jaws of love. A perfect view, with the perfect drink, made for relaxing whether it is country time or bedtime. Like the wild horses this should carry you away, with a smile on your face. Right to a mill named John Stuart. A slow meandering boat ride with a moment by moment, meandering analysis of two theme park attractions with the same name by a man who loves both. Scooty, scoots is back again, doing his lulling thing. All intros will go around, bed time com-for-ting. Time to say goodnight and goodbye, let the heart of the Tardis warm you as you rest. No worries, new friends await. A sustaining journey goes around and around, meandering like a canoe ride. Don’t worry about hanging on or racing carts, if sleeping were an Olympic event you would get a gold medal. Game shows float in space while reality is on hold. The Doctor, Jack and Rose will play across your dreams. Forbidden love of candy hearts come full circle, like drifting in a canoe with a lolipop. Not a Paul Simon song, but an episode based off a Phish set, if none of this makes sense don’t worry, in this episode even forgotten dreams come true. Sync your cell phones while we brunch in Cardiff, Captian Jack’s wit will put a heart of the Tardis level smile on your face. Welcome to a world of toys, made cozy with cats, be on the lookout for relaxation. Scooter tries to write a Rom-Com about notifications and ends up starting a convention that already exists. Would you dance with the Doctor as you dream? Just don’t snore and dance at the same time. Dream of a lush place where plants get bedtime stories as the bud and bloom. You’ll be bored to sleep as I unbox this card game. Your dreams will unwrap like silent cellophane around clear cards. Sympathetic snore rolls across London, Rose has a Union Jack and the Doctor sits for dinner, all as you sleep. You don’t have to be perfect to deserve a good night’s sleep, or to join the Panda Force. Tonight’s episode is sponsored by Casper. Thanks to some listener feedback, I sit down to learn more about matter. What matters? Creating your sleepy safe place. 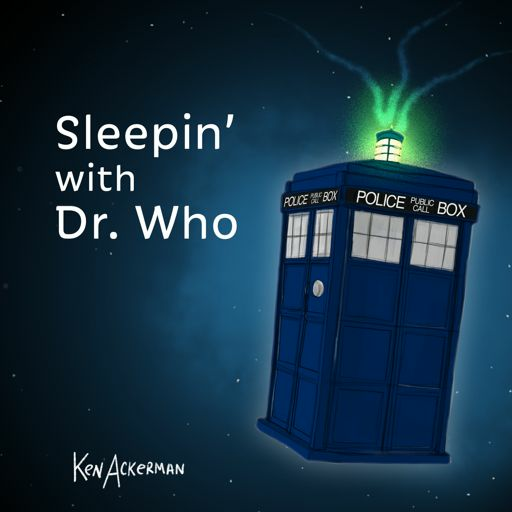 If Chris Angel were a sleep guru this episode of Dr. Who would be the misdirection that carries you off to dreamland. 577 - Lulling Overview of The Big Farm P.I. 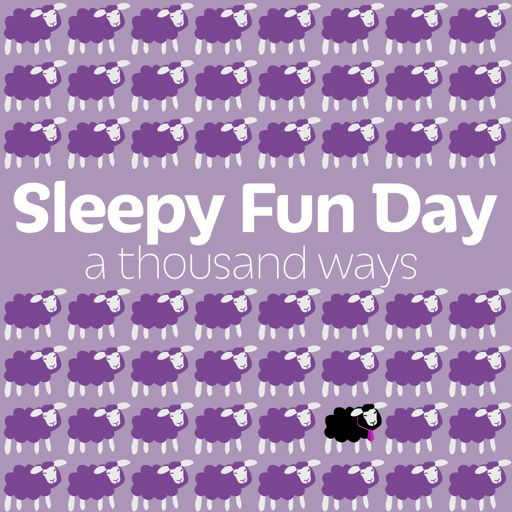 Like a vertical, sleep addled conga, it time to jump in the line and catch some zzzzs. Will Davos’ mansplaining be forgiven…it won’t matter…just kick back and I’ll believe you. 574 - Closed Open Books | Big Farm P.I. 570 - Rumble Tummy Bird | Big Farm P.I. 570 - Lake Ontario, Can I Call You Teri? 568 - The Case of the Outshining Crown - Big Farm P.I. 565 - Kali and the Clones | Big Farm P.I. I recap you rest. The only hanging string will be tied and all the dust will be feathered away by "The Glee Duster”. 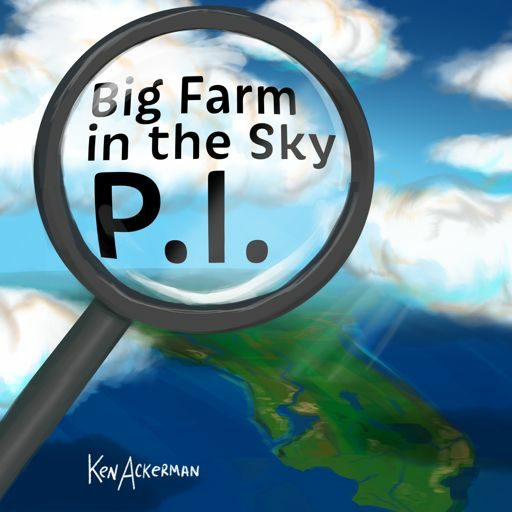 562 - Curse of the Cursing Notebooks - Big Farm P.I. Take a vacation from sleeplessness and sanity with this all intro episode. Metaphors will be mishandled but no words were smushed in the creation of this episode. 556 - Waiting for Steve Jobs via "The Case of the Painting Paintings" | Big Farm P.I. Tonight’s story is as warm as an Astor’s bathtub. Simon goes to the place where design and art wait for Steve. Only a IIGS can crack this case. (story at 16:04) Spoiler...we miss you Steve! 553 -The Dog That Chased The Moon | Big Farm P.I. 550 - Sleepy Seahorse Cove | Big Farm P.I. 547 - Missing Music Box | Big Farm P.I. 544 - Yellow Snow Mystery | Big Farm P.I. Notes on soup and crackers and stories. You’ll sleep like a fuzzy spoon. Dreams streaked with the marshmallow tears of Rocky E. Road precede a story of a charismatic camp in a rust belt town. Story starts at 19:15 but you’ll sleep through it. You know that feeling you get when your parents come into town? Worf feels that way too. #trypod - Share a podcast! 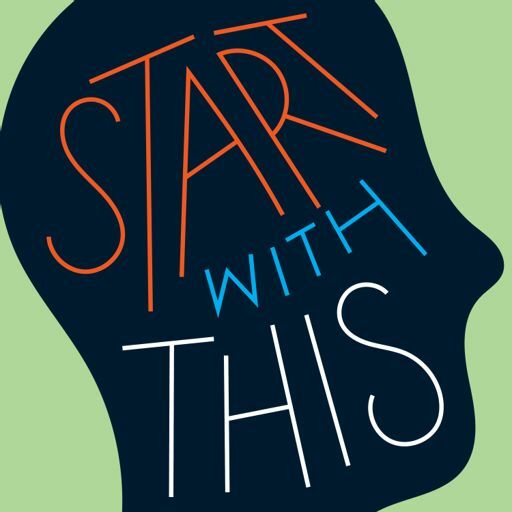 All March, share podcasts you love with the people you love that don't already listen to them. Share about it using #trypod. Better yet do it in person and show them how to subscribe. Thanks! I've been sitting on this episode for a little while, to celebrate reaching 500 shows. It is a personal, meandering story about my relationship with Video Games. As a stellar core fragment travels across the sky you will slip into sleep.